South India is known for many things, but a few things that largely remain unexplored is its vast array of wildlife having the richest reserve of biodiversity. There can only be a few other things comparable to the thrill and excitement of witnessing a tiger stroll within the thicket of its natural habitat prowling in pride, oblivious to your watchful eyes of wonder! However, in India one need not travel far to witness wildlife as both the north and the south of the country have several national parks and wildlife sanctuaries that make this country a designated hotspot. 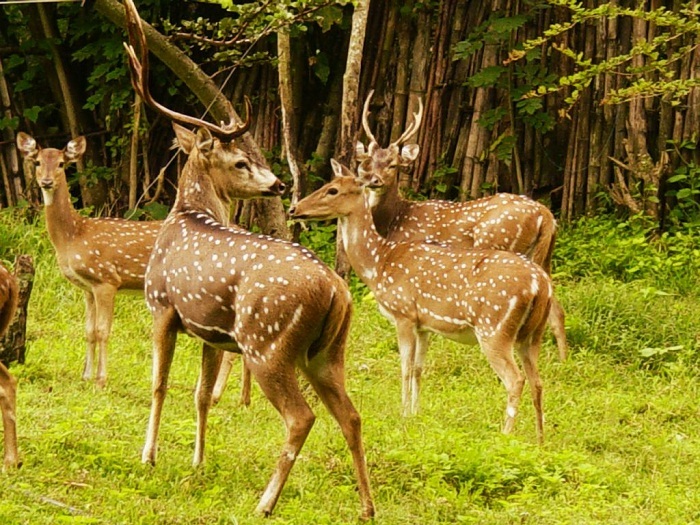 Here is a list of the Best wildlife sanctuaries to visit in South India Tour that have largely remained pristine and unexplored. Tucked within the majestic Nilgiri Hills, this is a vast wildlife retreat situated at the foothills of Ooty and is a part of the Mudamalai forest reserve. The area boasts of dense growths, solitude and rich wildlife diversity. You can avail the jeep safaris offered by the resorts and the forest department here, along with the night safaris. However, the search will not be too arduous here as one can easily spot a few gaurs or deer right on the way to Masinagudi. Species Found Here: Red giant squirrels, elephant, tiger, grey langurs, pythons, sambar deers, wild boar and spectacled cobra. Mysore situated 85 km away is the nearest railway terminal and Coimbatore located 125 km away is closest airport and is well-connected to other major cities. Special Tip: You may keep an extra day out of your trip for a quick visit to the breath-takingly beautiful hill stations of Ooty and Coonoor. The way to these two places have a total of 36 hairpin bends and the drive along the Kalhatty Ghats make for an exhilarating experience. The river Kabini provides the easiest access to the Nagarhole Forests, situated near its banks. This area was originally the hunting grounds for the royal family of Mysore, or then called as Mysuru. 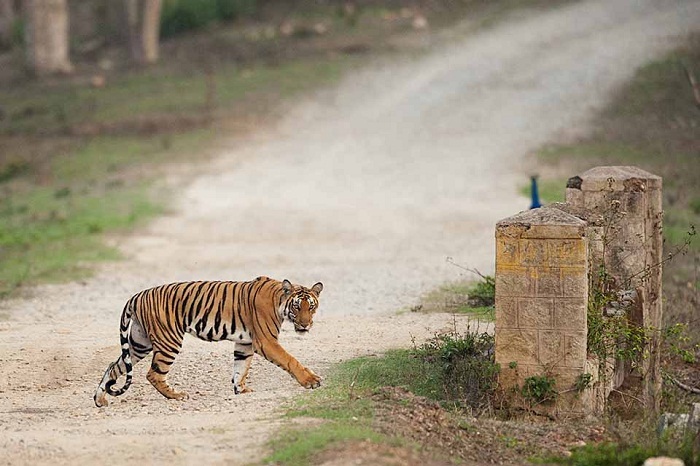 However, in the modern times this has been declared a tiger reserve and is a part of the Rajiv Gandhi National Park. Apart from the usual forest creatures this place due to its close proximity to the river also is home to unique fresh water creatures like the enormous Mahseer. Sights like huge herds of elephants along the banks and even a duel between the tuskers are a common sight along this area. Species Found Here: Spotted deer, Bengal tiger, leopards, peacocks, four-horned antelopes, Asiatic elephants, pythons and crocodiles along with the spectacled cobra. Mysore is the nearest railway station located 80 km away and Bangalore is the closest air terminal 200 km away. Special Tip: One must take a boat safari along the river to witness the variety of winged species and this is also the best way to spot animals undisturbed. 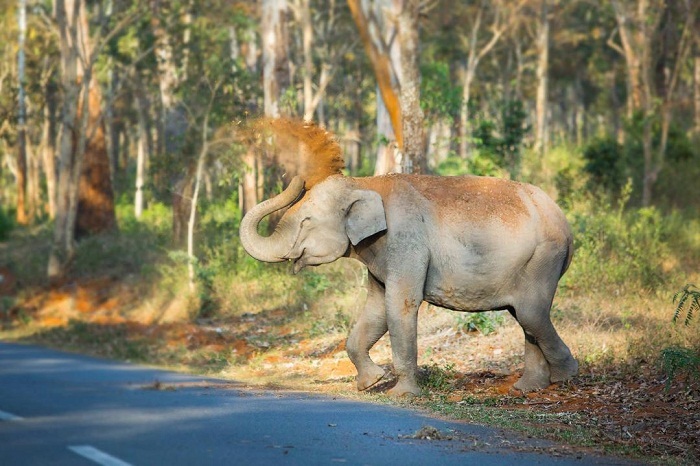 This reserve is a part of the bigger Wayanad Sanctuary and is populated with wild elephants a common sight as they cross the roads. Apart from elephants the other major attraction luring wildlife and nature lovers here are amazing collection of winged beauties that make this sanctuary their home. Kozhikode is the closest railway station located 100 km away in kerala and is also the closest airport. Special Tip: See the sanctuary on the back of an elephant with a special safari.